Strong FSP boards prepare for and respond to external shocks as a rule, not an exception. Far from being “extraordinary and rare,” challenging environments are a “normal” part of business for financial service providers (FSPs) targeting low-income populations. We tend to think that external environment challenges are extraordinary events that cannot be predicted or are too varied and diverse to prepare for—and therefore are best confronted as they arise. What do currency devaluations, deteriorating security, political interference or regulatory upheavals have in common? Can we can plan for them all and prepare effective responses in advance? Do responses need to be tailored to each circumstance? 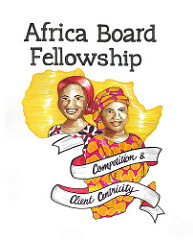 Through the Africa Board Fellows program, we have reviewed a wide sample of the external threats faced by the boards of FSPs in recent years in Africa and globally: economic fluctuations, currency devaluations, violence and instability, abruptly announced interest rate caps and capital requirements, natural disasters, terrorism—it’s a long and heterogeneous list. We’ll tackle the first point on anticipating and minimizing shocks here. We’ll cover the last two points in our next post in this series. The first step is to anticipate – and hence be prepared to mitigate – challenges. To do this, board directors must keep abreast of new entrants, potential disruptions, and promising opportunities in the marketplace. Directors cannot rely solely on management for this information. Instead, they should develop their own sources to supplement and confirm management’s view, such as by networking with industry observers and analysts–with management’s knowledge, of course. Locally based board members have an advantage in developing and maintaining such networks, which is one reason it is important to recruit qualified local directors. For example, finding and retaining qualified local directors has been a priority for FSSL South Sudan, given the ongoing political disturbances in the country that make it difficult to maintain continuity of leadership. Talking frequently with FSP staff and clients is another way board directors can anticipate challenges. Frontline staff are in a position to report on competition, clients and local happenings. And it should go without saying – but always bears repeating – that clients can provide ground-level insight. Clients may reveal such things as their vulnerability to displacement in government raids on the informal sector or the inability to import goods. When ABF fellows from the Ivory Coast conducted client visits, these were some of the specific challenges about which they learned. Create and participate in industry associations; promote and follow codes of conduct. Industry associations establish frameworks for fair practices and client protection and help facilitate self-regulation and compliance with governance and transparency requirements. An active industry association can also work closely with regulators and other government actors to help shape legislation, regulation and perceptions of the industry, which are all key features of the operating environment. Board directors should support and encourage management to devote time to nurturing strong associations – a medium term project – and engage directly with other FSP board directors to make this an industry priority. As one example, Barnabe Francois, CEO of Microcred Ivory Coast, has been an active member of banking associations, first in Madagascar and subsequently in Ivory Coast. 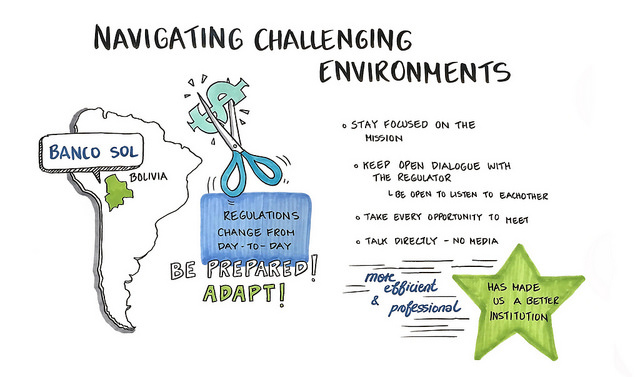 Develop relationships with regulators and government officials. 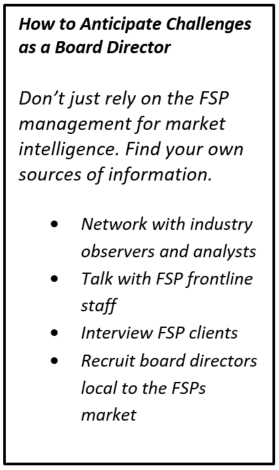 To reinforce the efforts of industry associations, FSP management can also cultivate relationships with government officials to advocate and educate them (and the media) on operating environment challenges. Board directors, particularly well-regarded locally-based directors, can greatly enhance the effectiveness of such engagement. Or, like MicroCred Zimbabwe, the FSP can appoint an experienced bank regulator to the board (perhaps, a retired official or someone who worked in another country) who understands how regulatory bodies work and can connect on a peer-to-peer basis with regulators. Build clients’ financial capability. An important aspect of an FSP’s risk management responsibilities is ensuring that clients use financial services responsibly and productively. Misunderstanding how financial services work can lead to multiple borrowing, or mismatched cash flows which often threaten clients’ ability to repay their loans. To ensure good value to clients and the long-term viability of the FSP, board directors should encourage management to include initiatives in strategic plans to help clients build their financial skills and practice good habits. Such efforts can, over the medium term, reduce the likelihood that an FSP or the entire sector will face certain types of challenges and will help position providers to take advantage of new opportunities. Stay tuned for the next blog in this series, which will highlight reducing an FSP’s vulnerability to external shocks, as well as enhancing resilience.